Fort Wayne hopes to host the NACAA 2019 National Meeting in Northeast Indiana! 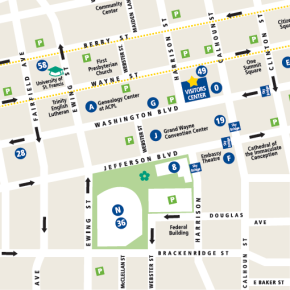 If you choose to come to Fort Wayne, you will be able to take advantage of top-notch meeting facilities at the Grand Wayne Convention Center and comfort of the attached hotels and enjoy the many, many tasty restaurants within walking distance of the events. 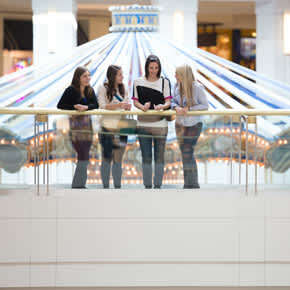 With great attactions like the nationally-recognized Fort Wayne Children&apos;s Zoo, the Foellinger-Freimann Botanical Conservatory, Parkview Field, the Fort Wayne Museum of Art, and the very large Genealogy Center at the Allen County Public Library, there are activities outside of your meetings to excite and entertain you! Looking for something a little different? Rent a bike, kayak, or canoe from Fort Wayne Outfitters and trek the 80+ miles of connected trails, or explore our 3 rivers. Eat an Irish meal at JK O&apos;Donnell&apos;s, a great steak at Club Soda, amazing seafood from The Oyster Bar, or hot dogs at the counter of Coney Island. 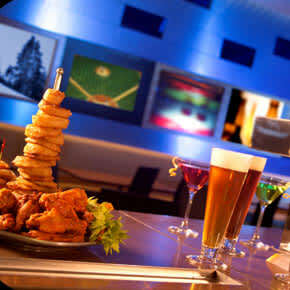 Enjoy a late night cocktail at Wine Down or Main Street Bistro. 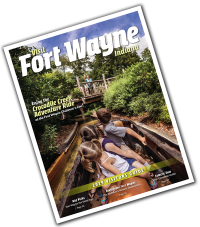 Learn more about Fort Wayne by checking out the Fort Wayne Insider Blog - it&apos;s the best of the best in Allen County, Indiana. We know you&apos;ll have a wonderful time in Fort Wayne if selected. We&apos;re looking forward to welcoming you to town!